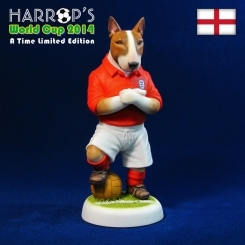 To celebrate the World Cup in Brazil, Robert Harrop has produced 10 special Bull Terrier footballers. 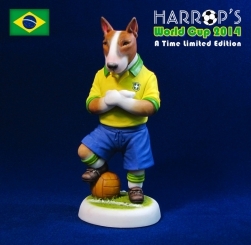 The England and Brazil editions are both timed and feature Red Bull Terriers. The remaining eight are all modelled using White Bull Terriers: Germany, France, Argentina, Spain, Netherlands, Italy, USA and Australia. The timed limited editions are available from the 12th June until the 13th July.